Owing to our affluent industry acquaintance, we present Jari Covering Machine. In addition, experts check these products on diverse industry parameters to ensure the sturdy nature. 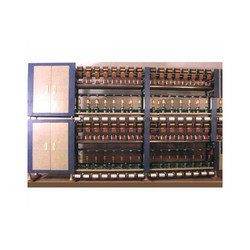 We are offering our client an excellent quality range of TFO Machine. These high quality TFO Machines are made from high quality raw materials which ensures high durability at its user ends. Our range of TFO Machines are widely finds its valuable application in various industrial sectors. In order to fulfill the demands of our esteemed clients, we are engaged in providing an optimum quality array of Universal Double Jari Covering Machine. Backed by profound experience of our experts, we are an unparalleled name engaged in providing high quality assortment of Jari Yarn Covering Machine. •: Low noise, vibration in speed. Excellent performance M/C without heat & noise. 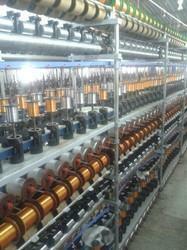 •: AL bobbin features : No sparkle in operation time, minmum bamage, long life.